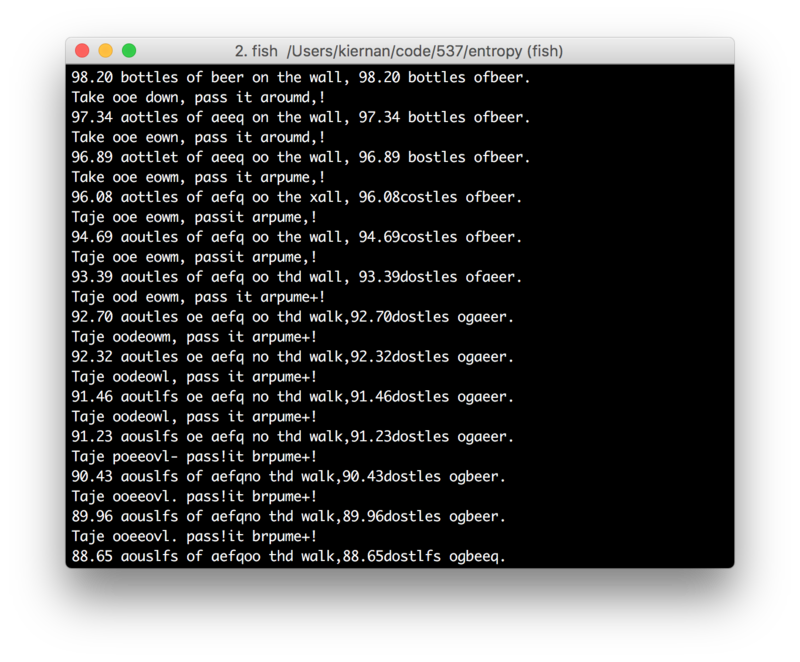 The esoteric programming language entropy is a quirky experiment in giving up control. Its a language who's representation of data becomes more corrupted the more you read from it. That is to say that var foo = 5 will only equal 5 so long as you never access foo, but the instant you do foo is irreparably corrupted and its original value cannot be recovered. Moreover any variable you access becomes more and more noisy the more you read from it. While decorators are still black magic experimental, they can be used through a babel transform. 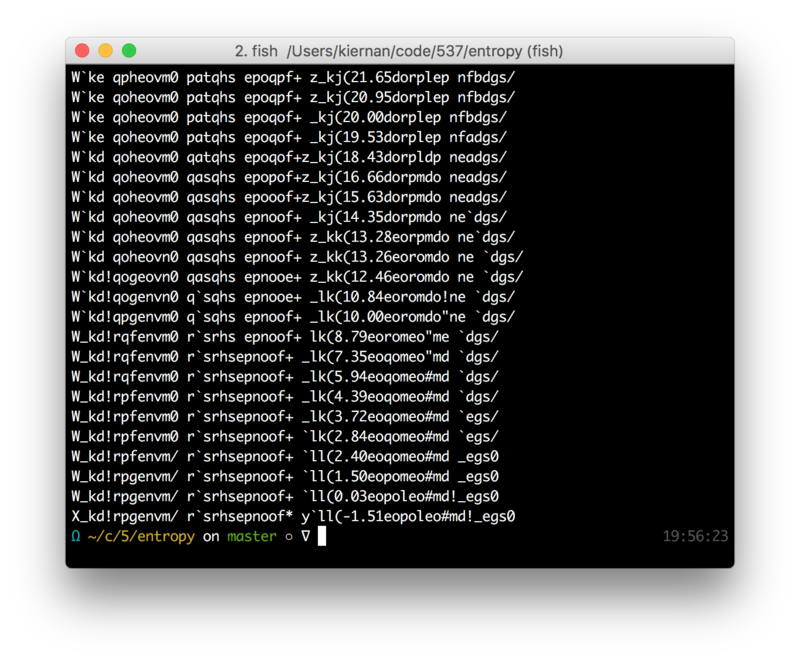 After that transform is set up, implementing entropy is a trivial process. The same thing can be done with strings as well, resulting in some unreadable mess pretty quickly. After reading from these variables just a few times their original value is lost and all that is left is a mess. So what happens when this program sings 99 bottles of beer? At first everything starts out somewhat close to our original song. But after the 99th beer our program is clearly drunk. Arbitrary complexity, in this case a martingale stochastic processes, can be directly attached the data that underpins our applications. Imagine being able to attach @low_pass, @notch, or @kalman filters to getter functions of noisy data, cleaning up the noise with little developer interaction. This would create more reliable sources of information to make decisions on for little developer effort.